Zhik’s new generation of hiking PowerPads™ mean you can make every second count in your racing! Being able to hike harder for longer than your opposition is how the top sailors win! When it’s down to gaining that extra inch on the line, PowerPads™ can give you the edge and this can make the difference between being on or off the podium! 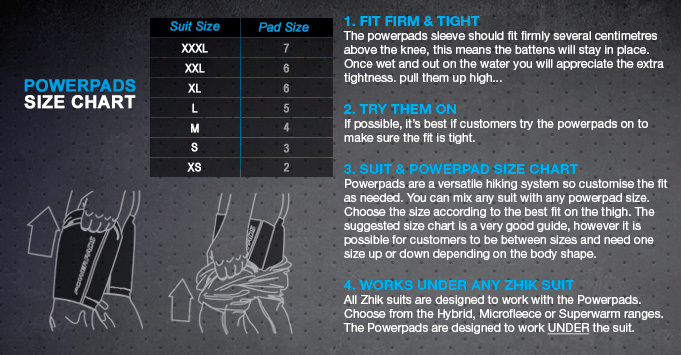 PowerPads II™ are designed to be worn either inside your wetsuit or under waterproofs and fit snugly around your thighs. 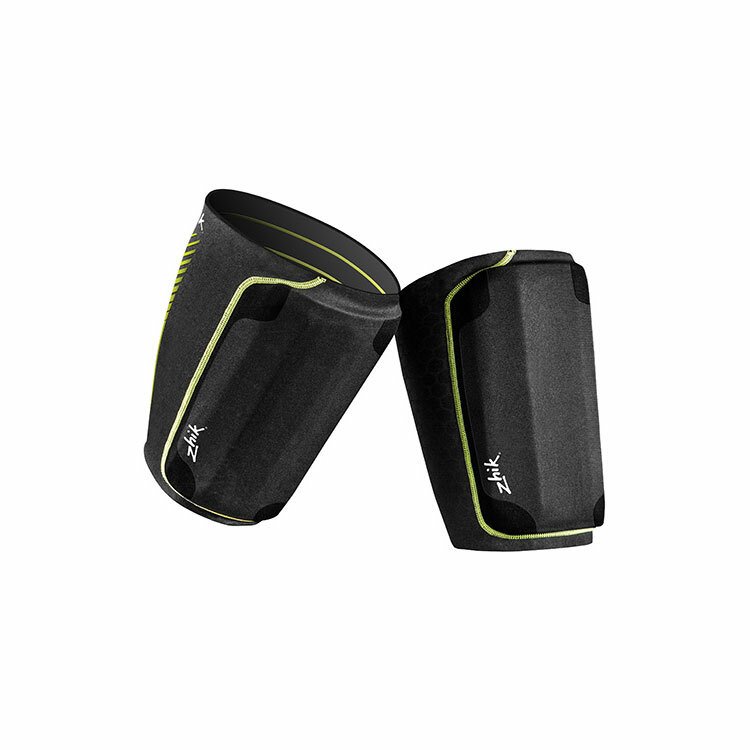 The fully enclosed neoprene sleeve design ensures there is no external pad that can be easily snagged or ripped off. The new shape of PowerPad II™ is also more streamlined to reduce bulk. The pre-shaped pads, supported with internal batons, flex to your leg shape, improving comfort. The pads are also fitted to support a wider range of movement and hiking positions. The ZiBand silicone banding on the inside prevents PowerPads moving around the leg, and there is also the option of adding additional EVA padding to create some extra height off the side decks. The high wear areas are full reinforced for added durability.